Come on in and hang out a while. For Gary from Greenback Tactical Productions on Vimeo. Bunch Marine is a Harriman, TN boat dealer with sales, parts & service. New & used bowrider, bass, pontoon, fishing & aluminum boats for sale by Ranger's, Triton's and Lowe Boats. 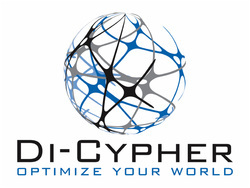 Di-Cypher is a firm designed to cover a wide range of issues all with the goal of making life painless. They specialize in Pro-Fisherman Representation, Negotiations, Advising, Consulting, Sports Management, Self Management, Sponsorship Acquisition & all forms of Personal Coaching (Life, Mental, Leadership, & Peak Performance Coaching): all services designed to help maximize your full potential.